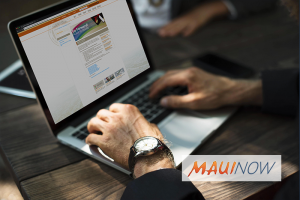 The University of Hawaiʻi will launch a completely revamped online admissions application next week. According to the University, the new application will make the application process more user-friendly for prospective students. The new application will be available for the seven UH community colleges beginning Feb. 4 for the summer and fall 2019 semesters. The application will be available for all 10 campuses beginning in July for the spring 2020 semester. “The new interface takes advantage of current technology to improve prospective students’ experience in applying to UH colleges,” interim associate vice president for student affairs Hae Okimoto said. In addition to meeting the American Disabilities Act accessibility standards, the new online application features enhanced web navigation and snapshot descriptions of the UH campuses and their programs. Applicants will also be able to access the application on their mobile devices and have the option to receive email notifications about their application status. Prospective students can apply on the UH community college website  beginning Feb. 4.